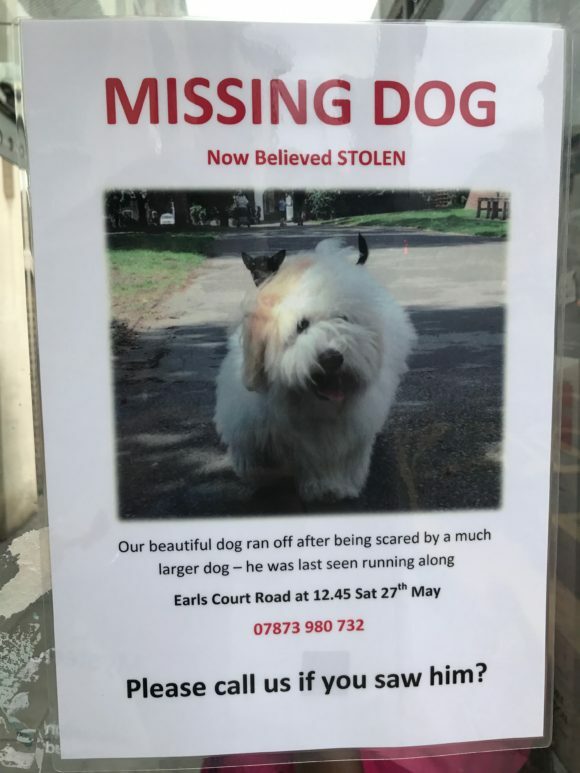 Every day when Mummy goes to work at a house in Kensington, she sees this poster on a bus shelter. And she has seen this on lamp posts. Not another one, she says. 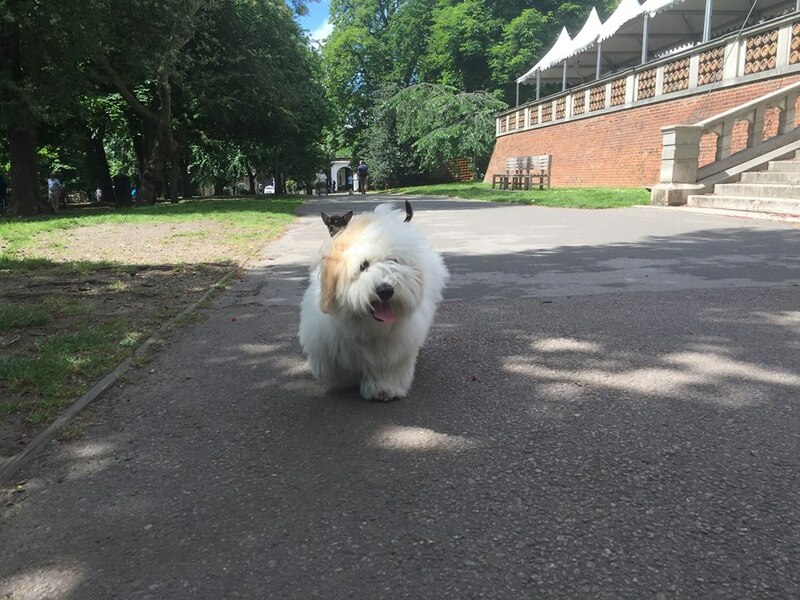 We have been in touch with Newton’s owners and we have learnt that Newton was in Holland Park, London on the 27 May. He was frightened by a large dog and ran in fright. He ran out of the park. He was seen by passers by at around 12.45pm, running south on Earl’s Court Road towards Cromwell Road. Newton is a 5 month old male Coton de Tulear. He is white with tan markings on his ears and tan spots on his back. Please if you have any sightings of him, please let his owners know. They desperately want him home. May’s comment: It’s been 10 days since Newton has gone missing. They now believe he has been stolen when he ran off frightened. There is a reward and no questions asked for the return of Newton. If you have seen or know anything about Newton, call 07873 980 732. This breaks my heart!! You can be rest assured that when we arrive in London next week I will be on the lookout for Newton, especially because we stay at a hotel in the Earl’s Court area. I hope and pray Newton is found safe and soon! We will be on the look out for Newton. Unfortunately we were told that a number of dogs have been stolen outside the small M&S between Holland Park and Notting Hill. I do not know if this is true but please be careful. It is better not to leave young or friendly dogs outside on their own. Mine has just been stolen from there, do you know if anyone has gotten their dog back please? 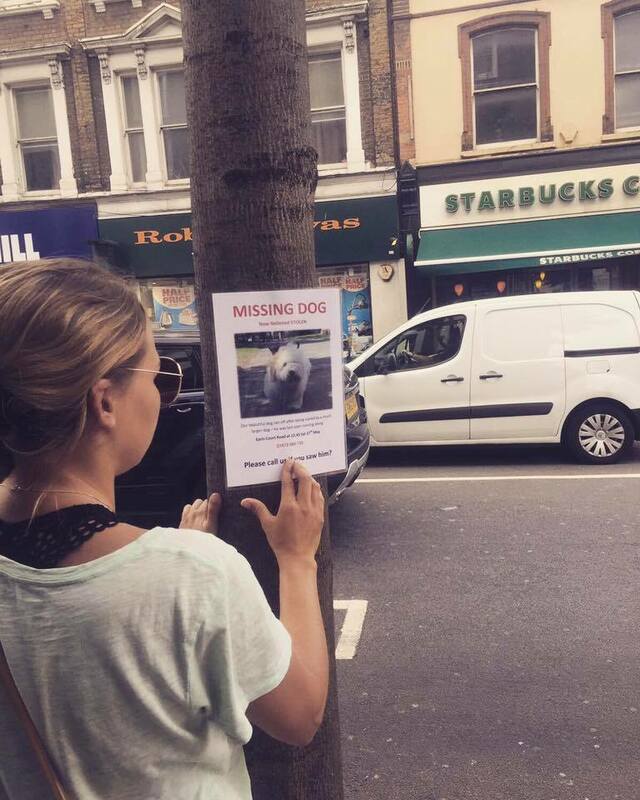 One from Kensington Gardens has been found in Earl’s Court. Had he been stolen? or ran away? No Vince ran away and he was a big dog. Sounds like Holland Park is the place where there’s a lot of dog theft. If you ring your nearest bus company and ask them you should be able to leave leaflets on there buses ( my garage at edgware (metroline) will let you. It may help. Really hope you get your dog back. What a great idea. I’ll remember this in future and pass it on. Thank you. They need to get tillys angels on the case. So sad poor dogs it seems to be happening so often these days. Thank you Jeanette I am letting the owners know.